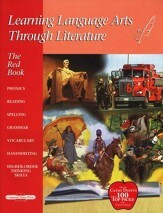 This teacher's guide is the heart of the Learning Language Arts Through Literature 2nd Grade program, and must be used with the required readers available in the LLATL Red Kit, Grade 2. Organized around the readers, the teacher's guide features step-by-step instructions for each day, an end-unit assessment, teacher notes, and answers to the student book in the margins. 230 pages, softcover. Trees are beautiful. They fill up the sky. If you have a tree, you can climb up its trunk, roll in its leaves, or hang a swing from one of its limbs. Cows and babies can nap in the shade of a tree. Birds can make nests in the branches. A tree is good to have around. 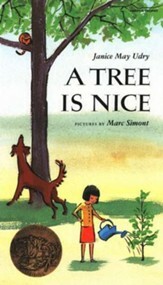 A tree is nice. Recommended for ages 4 to 8. 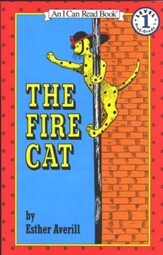 The 1957 Caldecott Medal winner. Meet Little Bear, a friend to millions of children. 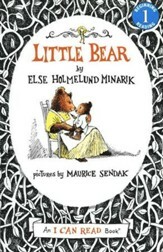 And meet Mother Bear, who is there whenever Little Bear needs her. When it is cold and snowy outside, she finds just the right outfit for Little Bear to play in. When he goes to the moon, she has a hot lunch waiting for him on his return. At night she helps him get to sleep. And, of course, she never forgets his birthday. Recommended for ages 4 to 6. Living at Hook & Ladder Co. 7 is hard work. But when Pickles is adopted by the people at the firehouse, this little cat makes big plans: to be the best fire cat ever. Preschool to Grade 1 reading level. It is one of the worst storms ever--the snow has not stopped for days and it is 30 degrees below zero. 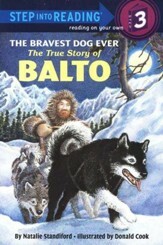 But somehow Balto must get through. He is the lead dog of his sled team. And he is carrying medicine to sick children miles away in Nome, Alaska. He is their only hope. Can Balto find his way through the terrible storm? Find out in this exciting true story! 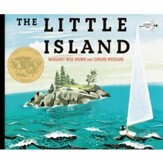 Recommended for ages 6 to 9, grades 1 to 3. Life on the farm from year to year. The farmer packs the ox cart with all the goods that were grown, and made by his family to be sold at the market. He kisses his family good-bye and takes the full ox cart to market to sell all his goods, only to begin the process all over again for the next year. Recommended for ages 3 to 8. 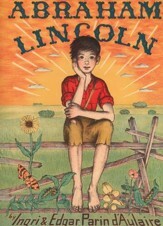 The 1980 Caldecott Medal winner. Corduroy is in for a Big adventure! Corduroy has been on the department store shelf for a long time. As soon as Lisa sees him, she knows he's the bear she's always wanted - even though he's a little shopworn. Corduroy knows that with a bit of work, he can tidy himself up - so it's off through the store in search of a new button! Recommended for ages 3 to 8. Billy was a little boy who loved horses more than anything else in the world. Imagine how happy he was when he got his very own pony for his birthday! From that day on, Billy was seldom seen without his new friend, Blaze. 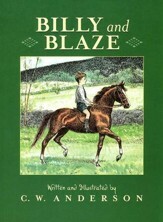 Riding through fields and woods, Billy and Blaze learned to trust and understand one another and to jump over fences and fallen trees with ease. They were a great team, but were they good enough to win the gleaming silver cup at the Maon Horse Show? Recommended for ages 4 to 8. Harry is a little white dog with black spots who loves everything...except baths. So one day before bath time, Harry runs away. 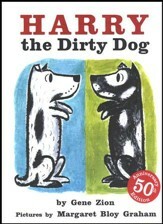 He plays outside all day long, and soon he is so dirty he has changed into a black dog with white spots. Now Harry is really in trouble. Even his own family doesn't recognize him.